This holiday special features singer Jewel and renowned actor Ossie Davis. 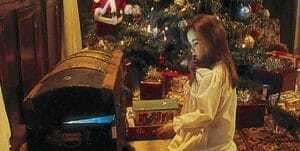 The story centers around a young runaway who finds herself hiding in an abandoned theater on Christmas Eve. She’s befriended by a janitor (Davis) and he brings the theater to life with vibrant musical performances by Jewel and the Trans-Siberian Orchestra. On CPTV: Monday, September 4 at 9:30 p.m.